When I first heard of the Resident Evil series it never really sparked my interest. Survival horror, stumbling through a spooky house, shooting zombies with auto-aim, looking at generic creepy stuff—yeah, I’ll pass. But then, fate intervened: I played Resident Evil 4. And after hours of massacring possessed Spaniards with a shotgun, I was thoroughly converted. So now, like pretty much everyone else who has played that game, I am eagerly awaiting the release of Resident Evil 5. Will it be as amazing as its predecessor? Will our thirst for more 3rd person awesomeness be appeased? And for those who haven’t played RE4, just what the hell is all the fuss about? Let’s check it out. 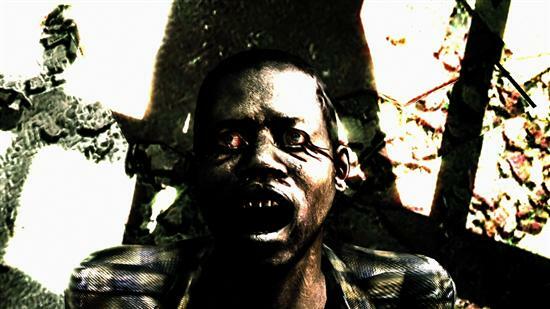 Anticipation for Resident Evil 5 may cause dryness of the throat and bleeding from the eyes. 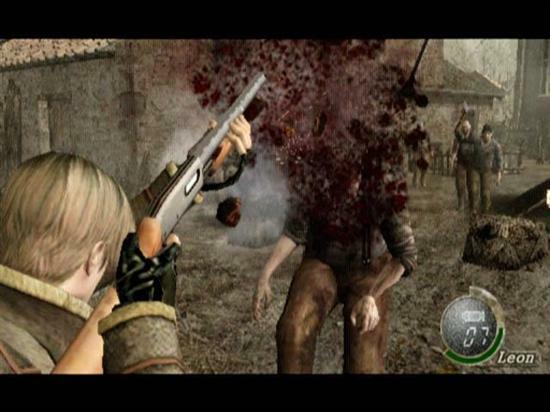 Capcom has stated that the control layout and gameplay style that made Resident Evil 4 such a big hit will be coming back in RE5. Fans of the series are overjoyed to hear it, but if you are, shall we say, a total RE n00b, you’re probably stuck wondering what the deal is. Allow me to explain. Resident Evil 4 was a masterpiece of a game that plays on your animal instincts and truly delivers on the desperation aspect of the survival horror genre, while at the same time not skimping on the fun. The gameplay of the earlier Resident Evil games has always been a matter of auto-aiming, fixed camera angles, and mindless, lumbering zombies. This was all changed in the fourth installment, first by exchanging the undead for parasite-infected, Spanish “not-zombies”; they are cunning enemies who are frightfully good at creeping up on you from just outside your field of view while you’re busy trying to gun down their cohorts. RE4 also adopted an over-the-shoulder chase cam and altered the control scheme to revolve around only a few buttons: the left thumbstick moves your character and, while holding the right trigger, aims your weapon, the A button firing it. At first, this layout might seem a bit flawed; after all, it means that you can’t move and shoot simultaneously. However, it is this element that makes the game so good. When a mob of bloodthirsty Spaniards with pitchforks and chainsaws is bearing down on you (and this is seriously just as cool as it sounds), you are left with the adrenaline responses of fight or flight: will you stand there and frantically try to blast them all before they can close in and massacre you? Or will you run away, trying to gain some distance on them? Capcom pulls it off perfectly, filling you with the sort of desperation and dread that fits nicely with the distinctively dark and dreary setting. Now that you have an idea of what to expect from the creators behind the Resident Evil games, just imagine what they can do with next-gen hardware and an enormous budget. So without any further ado, let’s get on to the press releases.